Today sees a end-of-year special edition yearbook from Doctor Who Magazine. I don’t usually mention stuff like this, but this contains something a bit special you’ll like to read - especially if you’re a regular reader of my blogs. 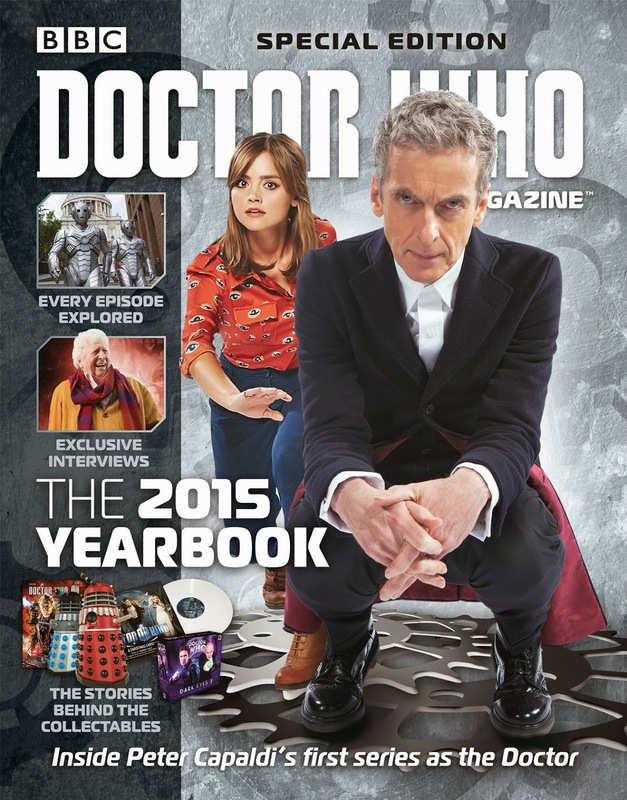 The magazine reviews an incredible year for the programme, its spin-offs and the licensed merchandise available. Highlights include our first major interview with the show’s executive producer, Brian Minchin, in which he reflects on Peter Capaldi’s first year as the Doctor and looks forward to further adventures with the Twelfth Doctor. Detailed tributes to the Doctor Who luminaries who passed away in 2014..., and much more! Also included in the “much more” is an interview with me! I was approached by Simon Guerrier, who as well as writing for Doctor Who Magazine has written adventures for Big Finish. We met in London a few weeks ago where we chatted about my work and some background information about how I do what I do. 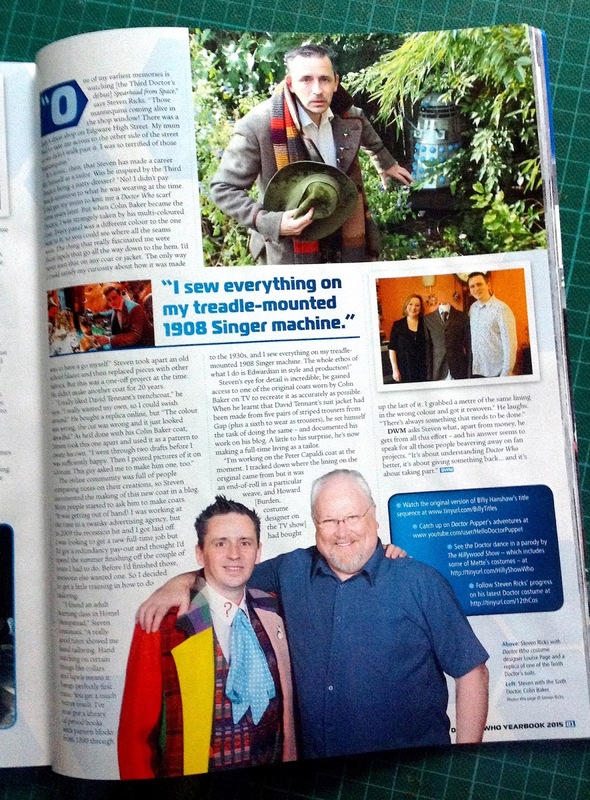 We talked about a number of my projects, and the article is accompanied by a nice feature picture of me in my Tom Baker Frock Coat! I provided a number of images for use with the article, including getting permission from Louise Page to share the picture of her with the Ultimate Tennant Suit. I was hoping for maybe a half page, but in the end it turned out as a full page - which is awesome! An episode-by-episode guide to the costume combinations worn by the Fourth Doctor. Oliver Owl comes for Christmas!